Notice the symbology and numerology used on the dollar bill. The most obvious symbol is the Illuminati pyramid with the hovering all-seeing eye in the capstone. Opposite this is the “all-American” Eagle with a down-turned US flag affront its chest. These and many other symbols on the dollar come from the ancient Stellar, Solar, and Lunar cults. The double-headed eagle symbol which came from Babylon and survived through the Scottish Rite of Freemasonry has been today adopted by America, Mexico, Israel, Germany, France, Chile, Italy, Honduras and many others. The word “mon-ey” comes from the Lunar cults. Early words for the Moon were “mon” and “min” giving us “mon-ey” printed at a “min-t.” We have a global “mon-archy” that controls the world’s “mon-ey” supply. We have finance “min-isters,” prime “min-isters” and their “min-istries” being controlled by occult elites/societies. “Mon-ks” perform “mon-thly cere-mon-ies” in “mon-asteries.” It is interesting to note that the plant “mint” is green, our “mon-ey” printed at the “min-t” is green, and the Isis moon goddess Statue of Liberty is green. Someone who is ignorant is green. Moon-lovers are “luna-tics,” from the French; They are “mon-sters.” You can see how the elite esoterically worship the moon continuing the Lunar cult, while exoterically condemning and marginalizing it. 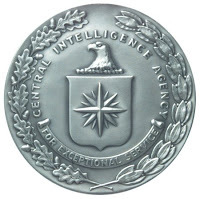 The Latin translation of Annuit Coeptis Novus Ordo Seclorum is “Our New World Order is Crowned with Success.” The other Latin phrase E Pluribus Unim means “One Out of Many.” Order out of Chaos. The Hegelian dialectic. The problem-reaction-solution paradigm used by the elites to drive world events, opinions and policies. 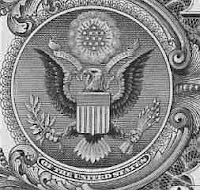 There are 13 letters in Annuit Coeptis and 13 letters in E Pluribus Unim. The dollar encodes the number 13 repeatedly. 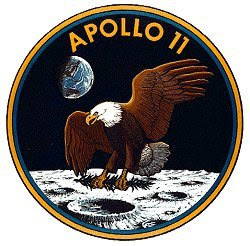 There are 13 stars above the eagles head, 13 steps on the Pyramid, 13 vertical bars on the shield, 13 horizontal stripes at the top of the shield, 13 leaves on the olive branch, 13 arrows, 13 fruits, and 13 numbers. If you draw a six-sided “Star of David” around the pyramid on the back of the dollar, 5 of the 6 corners will point to letters: A,S,M,O,N or when you re-arrange them, MASON. Actually, it's not a Star of David. . .it's a pentagram that spells out mason. a pentagram as five sides. stop arguing... this is really interesting you fools. It IS a Star of David, although the pentagram is an important occult symbol. Actually your all wrong, the Star of David has an older name, call the Star of Aton, the Atons, Akhenaton. The Star of David was used by the Egyptians prior to its use by the Jewish faith. Research the Remphan from Egypt and also look at its use in the Vedas. Also remember that the Israeli flag is actually a copy of the Rothschild red shield. Open your eyes and follow your intuition. Wasn't the division of the early United States the result of the the existing structure, not some cosmetic division by the Founding Fathers? The thirteen original colonies were well established before the Founding Fathers came along, were they not? we have a same and real enemy,ready or not,we'll fight our enemy in another day..
so,better if we unite for fight against this enemy for making this world peace forever..
13 could have something to do with mind control perhaps....it's so hidden but out in the open....very subliminal. Perhaps a lucky number for them because they know a secret about this number? Why else hammer the 13 theme so much on the dollar? There is a lot of "mon" examples early on in the article, "mon-ey", "mon-ks" etc. It seems weird to me that everything else is so precise, why they the letters for mason would be split up in the wrong order around the pyramid. I don't any latin but it could be that AS-MON means something also? Just a thought..
From what I've read a talisman or amulet must be "charged" individually with the will of the person creating it. The symbol is just a means for the occult practitioner to focus their will, the power's not in the symbol itself. That being said, money definitely has a magical effect on people for better or worse. Better yet, maybe people have been tricked into charging it themselves! I guess that means we are all magicians.. I believe that this is a very reasonable theory. My belief though is "ASMON" may mean something else. 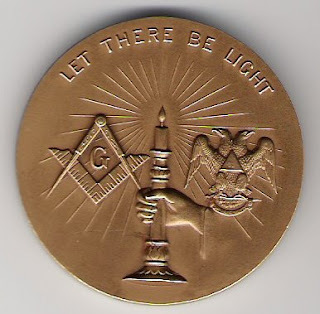 To be honest the Masons were devoted to doing good things for people. I do not think they are involved for the sake of the letters being arranged deferently. I don't believe that is "The Star Of David" or a "Pentagraph" I believe it is a so called "all seeing eye" which is a symbol of the Illuminati.. However, people that believe the government is up to no good, you have no absolute idea what is going on around you this very second. And that is sometimes a good thing. Jesus was a wizard! If I am not mistake is the basis for the number 13 like good luck or fortune in China or something ? Okay everyone, focus here. The govenment perposly did all of this stuff to the bill just to confuse you and make you want to seek out a truth that does not exist. They are covering up what is really going on in the world so there wouldn't be an uprising. Forget about the stupid bill and realize the truth about the government. $heeple.$heeple. Restore some diplomacy here. The fiat $1 is a scratch of the surface. YouGoogleTube: Satan on pur dollar bill and discover the Brotherhood's Babylonian Mystery Religion qabbala is alive and well. There are actually at leat 49/666 esoteric symbols. The pentagram would be the south pole of Saturn. The hexagram the North pole. As far as the Magen Daueed is concerned it is actually the Mazzoroth corrupted by astrology. It tells us the besorah of the Torah in the constellations and alerts us to the time matrix we live in. MJ Dangerous cover #21 is a cryptic 666 6pt Star. For certain all roads lead to Sirius and fiundationed at the Giza Plateau.Plieades Orion Acturus Mazzoroth and Moloch Amos 5:8,25 Iyob 38:31-33 Enters Betsy Ross Old Glory 13 $tars/$tripes. Stripes Illuminated colonies. $tars New Constellation. Enters Molochian sorcerer King Solomon's Grimoire Book of Spells which utilize the geometric properties of Saturn's poles and other planets. Pagan America Land of the plumed serpents. Take a helicopter trip to tax free city/state Wash DC peer into the sidewalk plan to unveal the hidden hands of Pierre C. Le'E'Can't and clock maker astronomer inventor Benjamin Banneker. 22 glow in the dark talismans in the Brotherhoods 666 astrology Babylonian Mystery Religion sidewalk plan. Same symbols on Mike's cover and your fuat currency. Founded on christian principles? Not! Treaty of Tripoli Article 11 $tates that's a crock of licjety split.